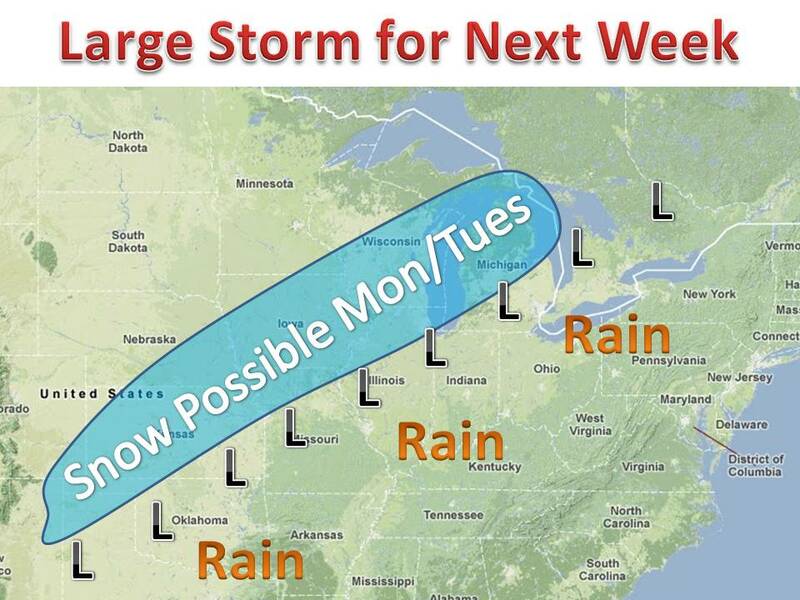 A large storm will affect the midwest early next week. Leading to the chance of a white Christmas for many. 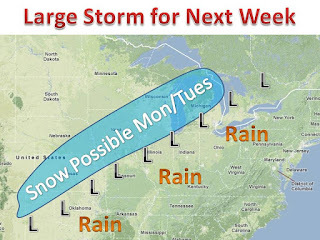 As of now, the computer models are all over the place with this storm. The track ranges from 100 miles north to a 100 miles south of the track on the map. With that said, a band of snow (3-6"? )will occur somewhere, most likely in the blue shaded area. Even more impressive, the area of rain will be quite massive south of the track.